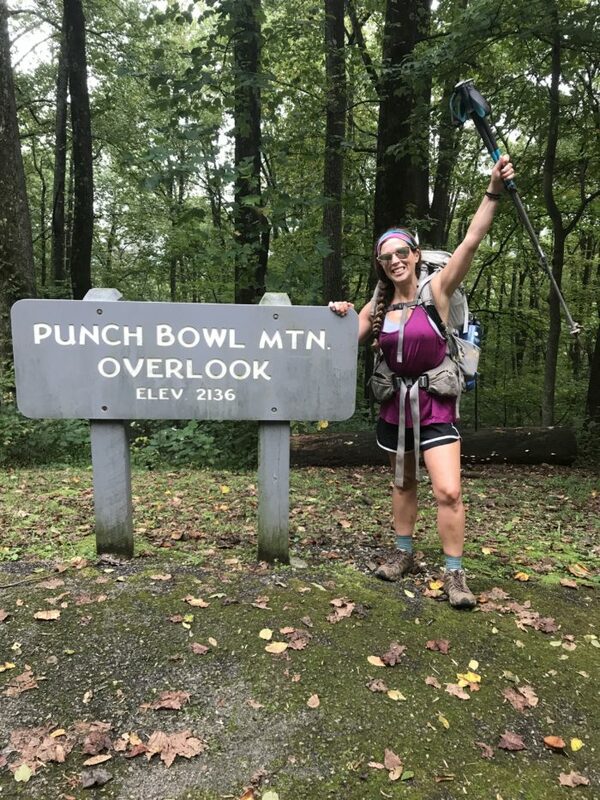 It’s been about a month since I finished my thru-hike. I’ve been wanting to write—wanting to put into words what it all meant to me, but I’ve struggled to pick up the pen (or, you know, keyboard). I’ve struggled with a lot of things, actually. I’d heard of post-trail depression, of course, which is a fairly common state-of-being to go through post-trail. You go from a constant state of zen mixed with euphoria—being pumped full of endorphins on the regular, absorbing copious amounts of natural light and vitamin D, living your dream, working toward a tangible goal every day, and spending all your time in the forest, the epitome of a peaceful place, with people that you love with all your heart who are full of just as much joy as you are. Take that away in one fell swoop and there are bound to be negative consequences. Despite physically moving forward on the trail every day and sleeping somewhere new every night, I felt extremely content and settled there. As if I was exactly where I was supposed to be at any given moment. I was intoxicated with life. I was so present. Since getting off, I feel like I’ve lost my anchor. I’m lost at sea and unsure which way to swim. I wrote back in Vermont about going through heartbreak on the trail. It was hard, but this has been far worse. I never suspected that in the end, the trail itself would break my heart. I feel like kicking and screaming, throwing a temper tantrum, begging the trail to take me back. But I don’t have the energy. Instead, I’ve been moping around and staring at my phone, as if the trail is going to call and say it was all a mistake. We’re made for each other—of course I can go back to my incredibly happy life of bounding up mountains all day, every day. Of course I can go back to sleeping in the forest every night. Of course my tramily will be there waiting for me. It was all a big misunderstanding. But, of course, it’s not. I finished. I’m done. 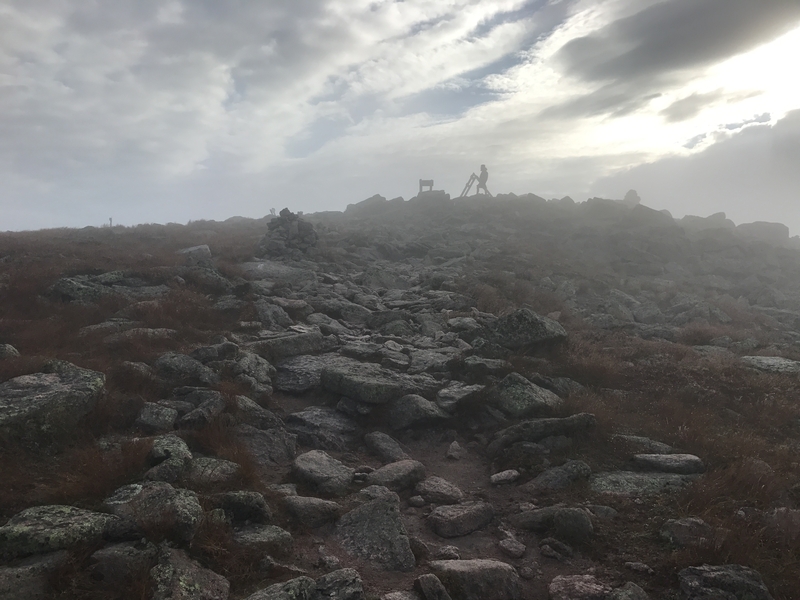 I powered up the boulders of Katahdin, posed for my hard-earned summit photo, and hugged my tramily tight before saying a muted goodbye, as if this hadn’t been one of the most monumental experiences of my life. It all feels like a dream. I miss the forests and fields, the fresh air, the exhilaration from reaching the top of a tough climb, the familiarity of finding my tramily waiting for me at camp, the confidence in my own skin and abilities, the newness that each day would bring. And yet, I sort of feel like it didn’t all happen to me at the same time. I barely recognize the woman in my trail photos. She’s smiling so big, so alive, and powerful and strong and happy. Was that really me? 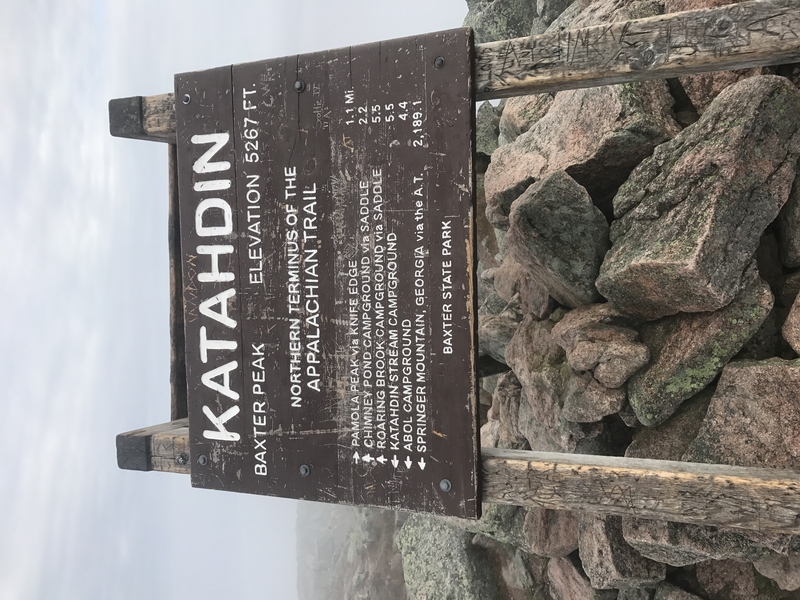 The day up Katahdin was one for the books. 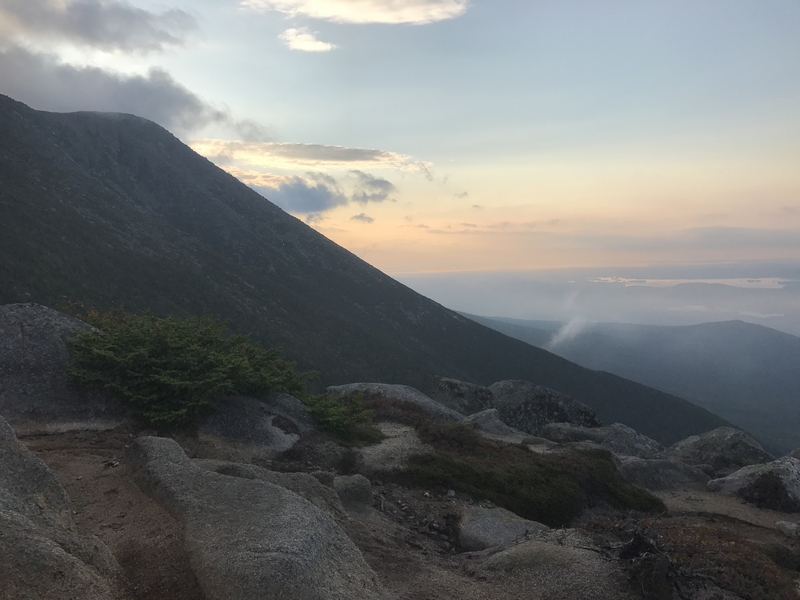 We got up far before sunrise and hiked the first hour or so in the dark, lighting the way with our headlamps, enjoying the creep of dawn’s morning light as we climbed above tree line. There’s something so peaceful and romantic about waking with the birds—wandering through the forest while the rest of the world still sleeps, like being part of a secret world. We stayed together for a good chunk of the climb, but eventually Chef went ahead, as he does, and Baby and Moss fell behind. They had elected to bring their full, heavy packs up while the rest of us had left most of our gear behind, slackpacking our final mountain. 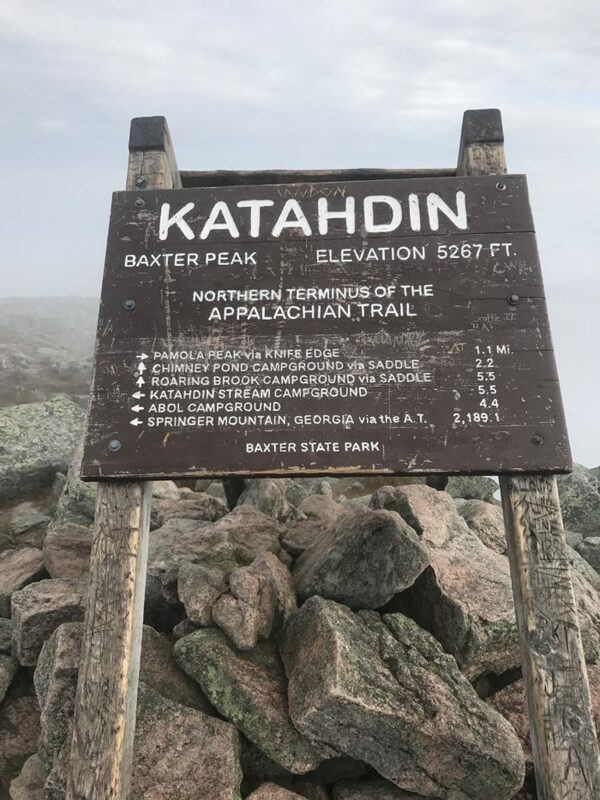 Katahdin was no joke. It was definitely one of the hardest, if not the hardest, climb of the entire trail. A final test. The view as we ascended was spectacular. The sun shone, bright, fluffy white clouds dotted the sky around stunning, impressive mountains, and a rainbow of orange, pink, and yellow decorated the valley below. As we got the the top, we were caught in a heavy soup of fog, which we didn’t escape until descending almost the entire way back down. But it didn’t much matter. 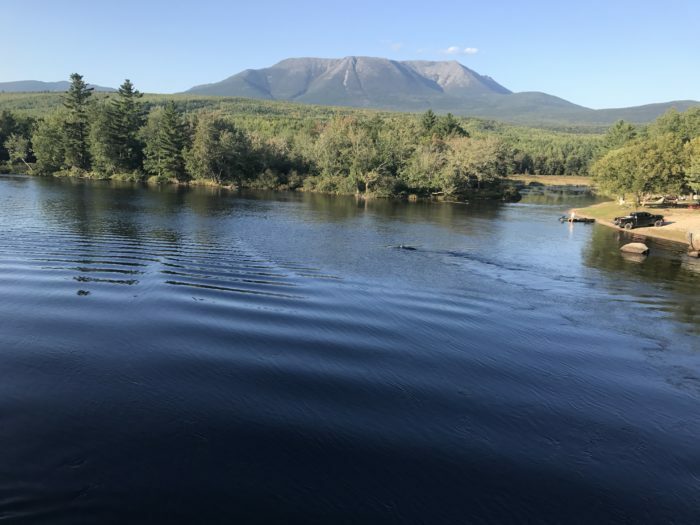 Dori played the soundtrack to end our journey—folk music from Dungeons and Dragons—and we marched on with eyes only for the Katahdin sign, proof that we were worthy, we had really done it. It was a beautiful moment. Tradition holds that you have to touch the sign as you arrive. This act made it seem more tangible, more real somehow. And we were greeted by more trail friends—Bernie, Sherpa, and Big Bunny—as we arrived. Ibex and I shared a celebratory root beer. We’d started together and we’d finished together. I’m not sure either of us could have predicted that. We hadn’t spent much time together in the 12 years prior to the trail; who knows how it would go. But she became family to me, as did so many others on trail. 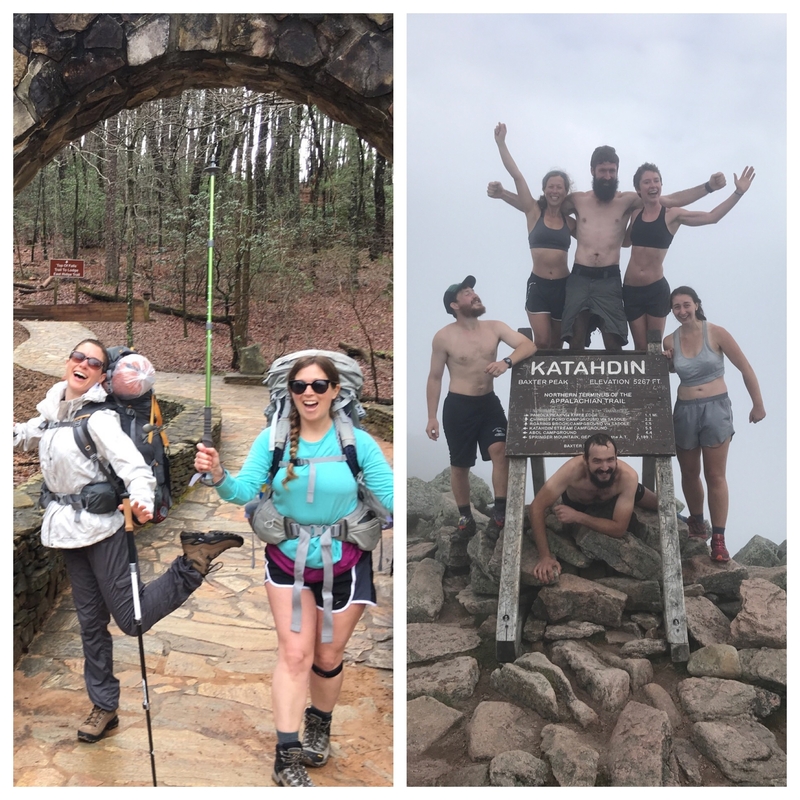 We stayed at the summit for a couple of hours, snapping photos, enjoying each other’s company, and watching as our fellow trailsmen reached the end of their journeys. The mood at the top was one of camaraderie. Even for those of us who hadn’t met before, there was a feeling of being intrinsically connected. One guy, Moonshine, even celebrated his birthday at the top, cutting his small cake into 25 tiny slices so that everyone could celebrate with him. Big Bunny wrapped his sleeping bag around me as I shivered. Just as we had all taken care of each other throughout the journey, we did so again at the end. Eventually, we climbed back down, said goodbye to Baxter State Park, and left the trail behind, spending some time together in Portland before going our separate ways. I even went back after that, actually. 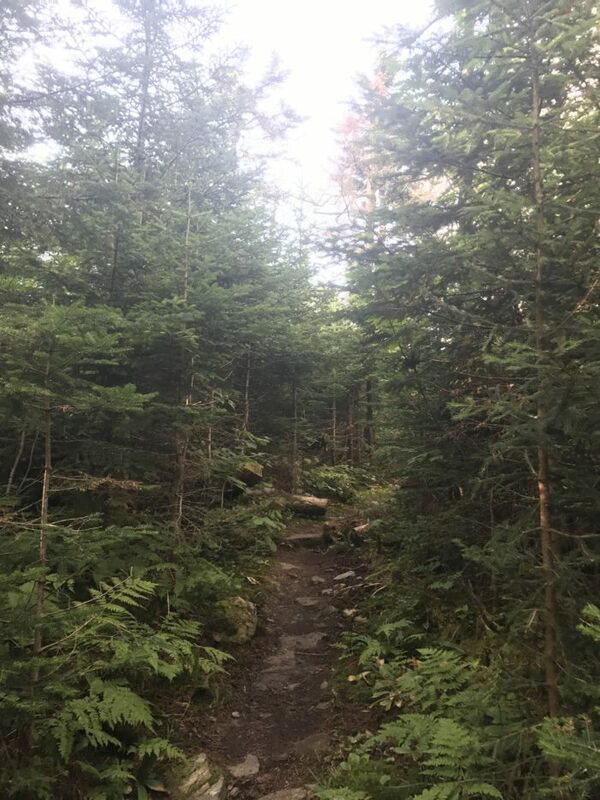 In May, I had missed 11 miles of trail in the George Washington National Forest. I’d caught a nasty stomach bug and after a miserable, stormy night spent largely crumpled on the floor of a (luckily quite clean) privy and a lonely day in a seedy motel, I opted to skip the miles my tramily had done that day so I could stay with them, resolving to go back and do them later. I’m not sure anyone believed I was actually going to go back, but I couldn’t live with those miles hanging over me. 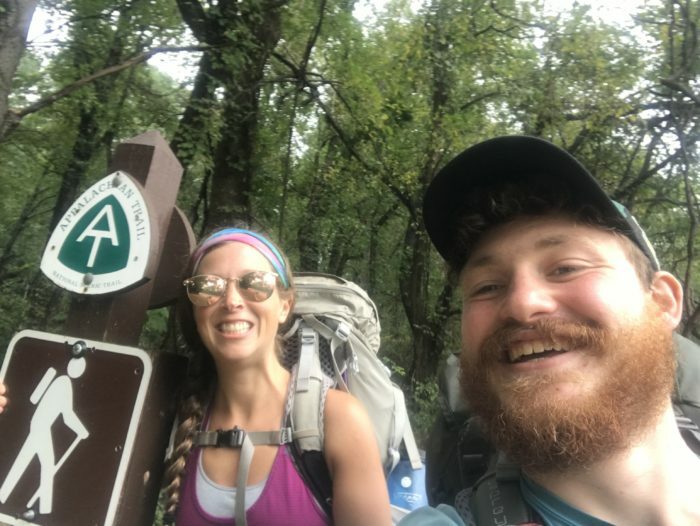 I felt like a fraud calling myself a thru-hiker, never mind the fact that I had indeed hiked almost 2,200 miles. 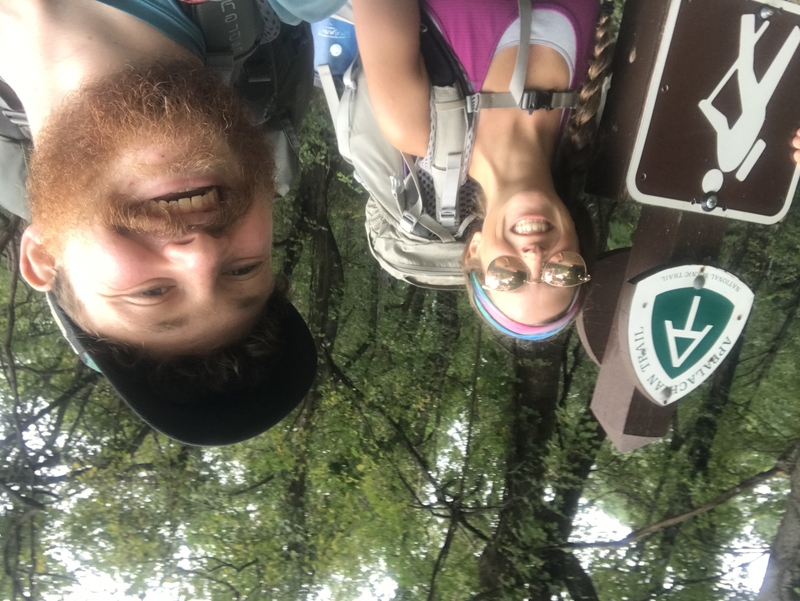 So two weeks after Katahdin, I traveled south, first to the Devils Backbone Hoopla Festival (shout-out to Devils Backbone for the free ticket and always being ridiculously kind and accommodating to thru-hikers! ), then to the Blue Ridge Mountains. There, on the picnic table of the parking area, right next to the trail, I found Baby waiting, our tramily flip-flopper who is continuing his journey south from Virginia to Georgia. 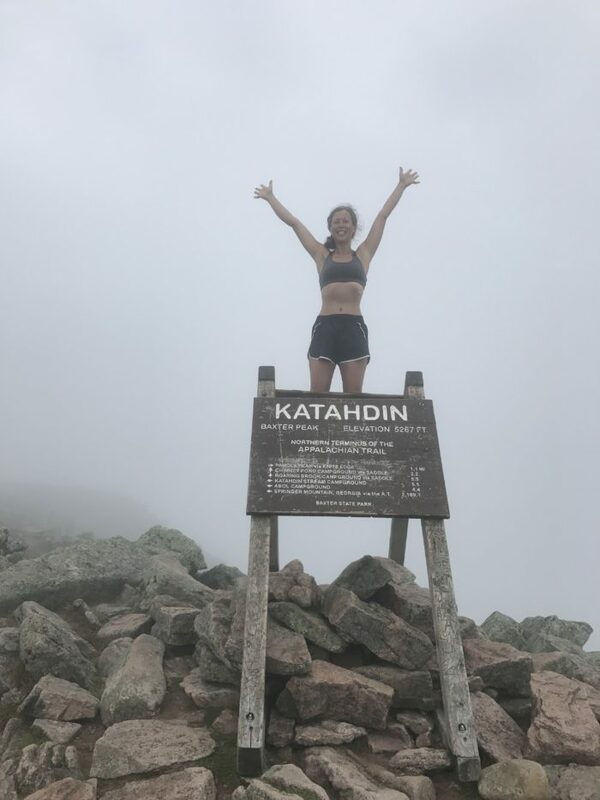 We hiked the 11 miles together, which was incredibly refreshing and comforting, and I got to have a friend to high-five and smile with as I reached the Blue Ridge Parkway, the official end of my journey. He’s a good egg, that one. A few things struck me from that last day officially on trail. One, having been away from the trail at that point for a couple weeks, I couldn’t believe how happy everyone seemed on the trail. Exuberantly happy. I had already forgotten that was me such a short time ago, especially after having spent the two weeks prior constantly on the verge of tears. Second, while I did not believe Virginia was flat as I was hiking through it, it did admittedly seem like a stroll in the park after having gone through New Hampshire and Maine. I mean, shockingly easy. And third, the next day, as Baby continued south and I traversed back north to my car, I felt like an imposter, like I didn’t belong anymore. I probably passed ten southbounders en route, and I knew it was their turn now to own the trail. My journey was finished; the trail was theirs for the taking. I know I can always go back and visit, but for now, I need some space to heal. Like the end of any relationship, I’ve come to the point where I know it’s time to move on. There are plenty of fish in the sea. Plenty of mountains to climb. Plenty of forests to explore. Plenty of trails to conquer. And I know the AT won’t be my last one. In the end, all I can really say is no matter how hard things are now, the trail was and will always be worth it. Those six months on trail were among the happiest of my life. They were a reminder of what it means to be alive. And that people are good, nature is the cure for a tired soul, and there’s a great big wide world out there waiting to be explored. You can’t experience that amount of joy and regret it. If I can give you all one piece of advice, it’s to listen to your heart and follow your passion. If an idea, like hiking the AT, grabs onto your soul and won’t let go, there’s a reason for it. Find a way to make your dream a reality, no matter how real the obstacles and fears surrounding it may seem. I keep thinking about the John Burroughs quote—“Leap, and the net will appear.” Sometimes the hardest thing you can do is to make a decision. But it can lead to the most rewarding experiences. I could have kept saying “someday.” Someday I’ll leave D.C. Someday I’ll hike the Appalachian Trail. Someday I’ll be happy. But I didn’t, and neither should you. Because you deserve a life lived in color. The AT was the start of a plan to better my life. 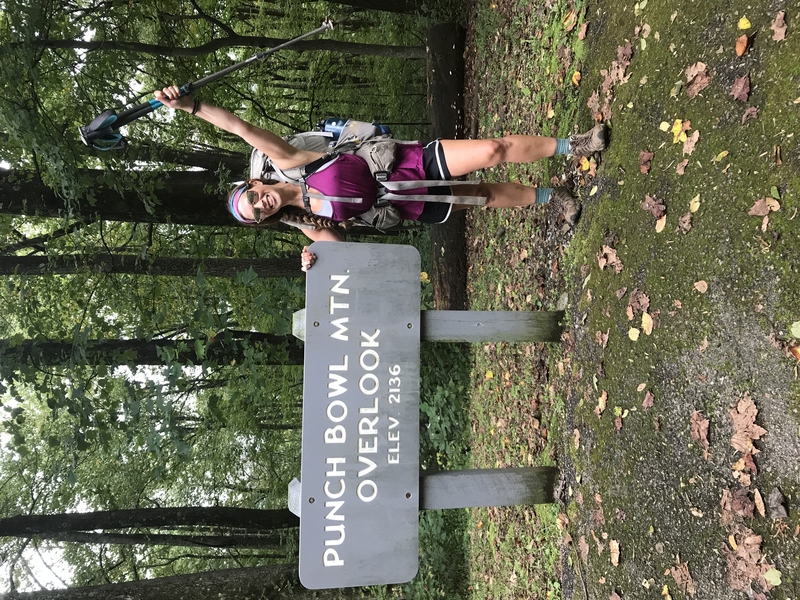 The way I was living pre-trail wasn’t working for me anymore. This was a way to both fulfill a dream and give myself a fresh start. Now, the real challenge and work begins. To rebuild my life, one that brings me happiness and fulfillment. I know it won’t be a quick or easy journey, but I believe it will be worthwhile, and I hope I can carry the lessons I learned from the trail with me in my quest. To live simply, to be kind, to open my heart to experiences and people, to change my plans when things aren’t working, and when in doubt, to seek nature. I don’t know where life will take me from here, but I hope it will be beautiful. So now, I’m job searching, mainly in Colorado. I feel in my bones that I need to be close to the mountains. I’m also getting plenty of exercise, doing a little traveling, and spending time with friends and family while trying to cope and move on with my life. I think being settled for a while will help. I also feel like I have a ridiculous amount of energy stored up to channel into something. I just need to find that something—a project, a goal, a job maybe. So I hope the right opportunity comes along soon. Cross your fingers for me. If you’d like to continue following my journey, you can follow me on Instagram and check out my personal blog (which I’ve yet to update since beginning the trail). I can promise that I’ll continue to seek beauty in the great outdoors, and eventually, I’m gunning for the Pacific Crest Trail. I just don’t know when. Happy trails, my friends. Go out and follow your dreams. You’ll never regret it. Looking forward to your PCT adventure which, I trust, you’ll be blogging about. Very well written and your story really resonated with me. Change is the hardest climb in life and you sound as though it’s made the best of you. Very inspiring and hopefully it will motivate others to live their lives on their own terms, and have the courage to stick with it. Thank you, Michael! Sometimes it would certainly be easier to avoid change and stick with the status quo, but I’m trying to live my best life and not let fear get in the way of that. I’m glad this resonated with you and hope it does others as well! Oh cool – well if you find out what became of them, please do let me know! I hope they were able to finish. I did some sleuthing on trail up north but never could find out anything. I’ve finally gotten used to being off-trail after a month – certainly took some adjustment. Now I’m raring to go and start the next thing, so am impatient that I haven’t figured out what that is yet! Will continue the job search and cross my fingers that something comes along soon. I’m also gunning for the PCT (though kind of doubt it will be that soon, but I’m not sure. As you said, a lot can change in a year or two) so maybe I’ll see ya there! And as far as Mount Elbert, I am so in!! Keep in touch, Easy Bake. I’d love to hear what you get up to next!